Angolan President Jose Eduardo dos Santos returned to Spain on Monday for a “private visit”, officials said, five weeks after a monthlong trip to the country when he underwent medical tests. Dos Santos, 74, has been dogged by reports of poor health, with his daughter Isabel having to deny rumours that he had died on his last trip to Spain. “President dos Santos left Luanda on Monday for a private visit to the Kingdom of Spain for personal business,” the presidency said in a statement, adding that he was in Barcelona, though without saying when he was scheduled to return. 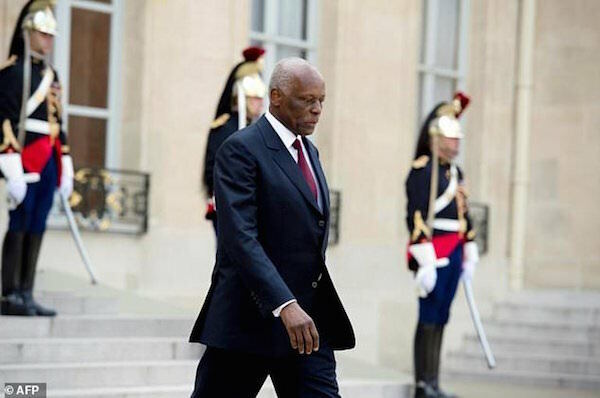 Dos Santos, who has ruled Angola since 1979, has reportedly received cancer treatment in the city over several years, but details of his health have not been made public. The opposition has called for the government to be more forthcoming. Dos Santos has announced that he will not contest next month’s general election, marking a historic change in the oil-rich country which experienced nearly three decades of civil war that ended in 2002. Critics accuse him of crushing dissent and allowing his family and associates to enrich themselves while most Angolans live in extreme poverty.